March | 2016 | Community Alliance S.A.
Adelaide has an estimated 90 years’ of infill supply within John Rau’s proposed urban growth boundary. 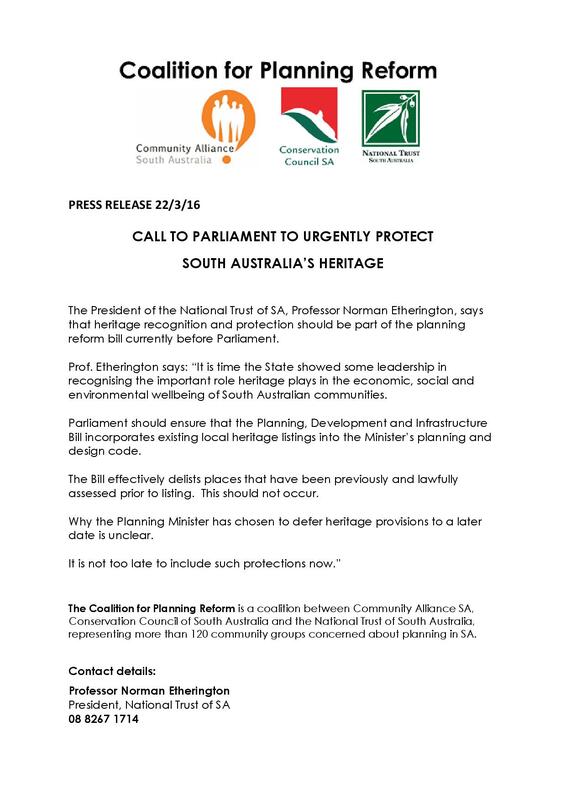 The Coalition for Planning Reform (CPR) has issued a press release on the lack of heritage protection in the planning reform bill currently before Parliament. 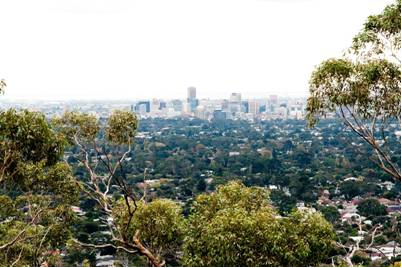 The CPR is a coalition between Community Alliance SA, Conservation Council SA and National Trust SA, representing more than 120 community groups concerned about planning in South Australia. The report “Economic Value of Heritage Tourism in the City of Adelaide 2015” was released in December 2015 and recognises significant tourism value in the heritage stock of the city and North Adelaide.